Premium, long-lasting, and affordable products from your trusted deck builder in Lake Charles. Check Out Our Decks For Sale In Lake Charles. Since 2001, nobody has built more decks than Ready Decks. Our contractors strive to provide the highest quality site-built decks in as little as one day. See for yourself what makes Ready Decks the premier deck installer in Lake Charles. Contact us today and we’ll further discuss our products with you. Are you interested in adding a deck or porch to your home but don’t know where to start? Ready Decks has an extensive selection of decks, porches, ramps, carports, and pergolas within your price range. At Ready Decks, we believe you shouldn’t have to wait weeks or months for the contractor to finish the project. It’s standard for a typical Ready Deck to be completed in just one day. You can also feel comfortable knowing that our decks are built to meet or exceed federal safety standards. A Ready Porch serves as the ideal addition to your home. Picture it now — you and your guests are relaxing in a protected area without having to worry about the heat or rain. 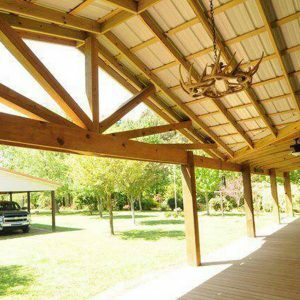 Keep in mind that every Ready Porch features treated rafters, beams, and lathes. Looking to match the existing gable on your home? Then you’ll definitely want to explore our Gable Porches. Choose from various upgrades such as wagon wheel gable end design and vinyl. At Ready Decks, customer satisfaction is always our No. 1 priority. You can count on the product you choose to be a tremendous value for your investment for years to come. It’s time to experience the Ready Decks difference.